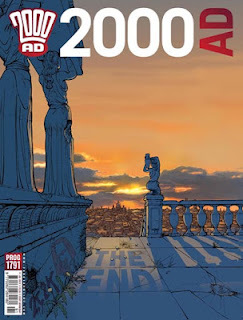 Oh yeah, I should mention that I have a story in the latest issue of Britain's legendary sci-fi comic weekly, 2000 AD! The big news in Prog 1791, of course, is the conclusion of the 15-year epic Nikolai Dante. 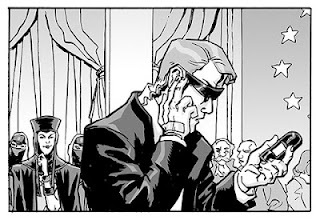 But tucked away in the issue, you'll find a little "Future Shock" written by David Baillie and illustrated by yours truly. Here's a random out-of-context panel. 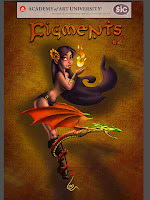 In other news, the Academy of Art's Sequential Imagery Consortium has just released an interactive iPad version of its Figments comic anthology. Not only does this showcase the work of many of my past and present students, but it's free! Check it out today!